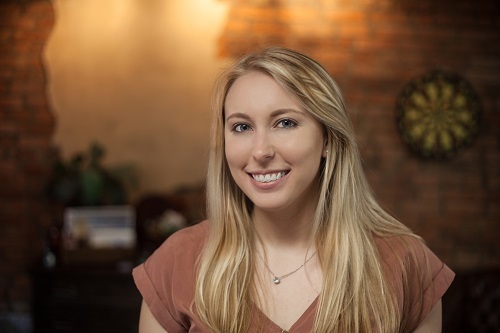 The most recent member of the ocreations team, Laura Smith, graduated from Duquesne University in May of 2017. 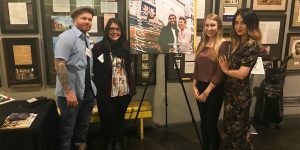 A year after graduation, the Duquesne University Media Department reached out to Laura to get an alumni testimonial of her experience at Duquesne University, and where her path at Duquesne led her to a year post-graduation. Laura was a student in ocreations President Shawn O’Mara’s “Graphic Design Process” course in the fall of 2016. She excelled in this course, which led her to attaining an internship with ocreations for her final semester at Duquesne. The ocreations team gave Laura a true hands-on experience with real clients. Her logical mindset, well-rounded communication skills, and her artistic eye are what prompted the ocreations team to ask Laura to stay on the team ever since. She worked her way up from intern, to freelancer, to official employee in less than a year’s time. Shawn O’Mara looks forward to teaching the students at Duquesne each year. 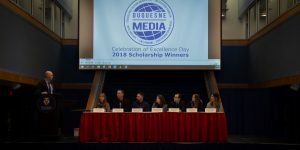 Thank you to Duquesne University, and especially the Duquesne University Media Department for reaching out to Laura for a testimonial! Learn more about Laura’s experience at Duquesne by reading her full testimonial here.